Keeping up with trends in woody biomass presents some interesting angles, and one of the latest theories is that the quest for woody biomass energy will precipitate some big land grabs as the more wealthy nations feast upon the resources of the poorer nations. Biomass interests in the U.S. have long identified transportation costs as a key obstacle in launching more biomass facilities. But the news article seems to imply that transportation issues present no major hurdle. Those in the domestic woody biomass business must certainly be curious about how affordable transportation costs have been addressed in this theory. How can the rich nations of the United States, France, and Germany invade the poorer countries, haul off the coveted fuels, and still be cost effective? And who are the companies willing to expend capital for machines and labor overseas in underdeveloped countries just to bring woody biomass to more affluent markets? The news article continues: “Local sourcing, such as using wood from forests near power plants, is favored by countries such as Germany, France, and the United States, the report said. 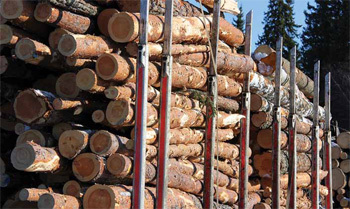 However, with demand for wood set to outstrip supply by up to 600 percent in some countries, and high tree growth rates in tropical countries, it is likely that some developed countries will look at non-traditional suppliers in the South to plug the biomass gap, the IIED added.” Again, there is a lot of talk about one country taking another county’s resources but no explanation of how the transportation angle is being approached. Let’s review again why woody biomass is competitive nationally as green energy. In the nation’s push for alternative fuels and more efficient resource utilization, wood, wind, and solar energy rate highly. In general terms, it seems wood burning power costs are highest when building the facility. Costs for a start-up biomass plant run $3,300 to $4000 per kilowatt, with subsequent megawatt production costs running $75.80 to $94.63. Wind facilities weigh in at $2,050 to $2,550 per kilowatt to build, with a megawatt production figure ranging from $84.45 to $131.91. And solar facilities run $1,750 to $2,500 per kilowatt to build, with a generating cost of between $94.22 and $165.75 per megawatt. Clearly the woody biomass plant might have the largest start-up costs, according to HM3 Energy’s website analysis, yet in the long run its costs per megawatt are competitive, especially in areas where abundant woody biomass exists. In today’s fickle world of energy production, wind seems to get the green light in a number of locations, although it is still often fought because of bird mortality and visual concerns. Solar, which should be an instant winner in desert venues, is also on the hot seat, with the chief obstacle being the amount of land required to set up the generating plant. The latest investigation into misspent stimulus funds by a California solar panel producer is yet another black eye for that industry. That brings us back to woody biomass, which could serve several parts of the country if generating plants stay close to abundant fuel sources. For example, in Colorado Springs, Colorado, there’s a movement afoot to convert local power away from mostly coal to a combination plant. Colorado has already been identified as a huge source of woody biomass because of thousands of acres of bug-killed timber. The claim that woody biomass plants will usher in an age of land grabs, with voracious generating plants eventually seeking out biomass supplies in impoverished foreign countries is curious. Such an argument denies what the woody biomass industry is already faced with in the U.S. and Canada: big transportation costs. Yet as the home building industry has slowed to a crawl, the trees have not stopped growing. Forests in many parts of the country have grown dense and dangerous, with logging activities dwindling entirely, especially on national forests. Currently, a huge supply of woody biomass is already waiting, and the nice part is that this is a crop that doesn’t need yearly replanting and doesn’t take away from food supplies like corn does. That brings us back to the common sense idea that woody biomass does have a place in the national energy lineup. If done wisely and efficiently, woody biomass can furnish local and regional power grids in a sustainable manner. The theorists meanwhile have some explaining to do as they postulate about international land grabs. Is it another ruse to cast suspicion on the forest industry by claiming this type of green energy will lead to over-harvesting? 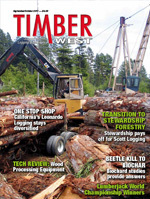 If these suspicions are correct, the country’s wood products industry deserves an answer on how the huge transportation costs, not to mention harvesting challenges, have already been addressed and solved. We look forward to answers from Reuters and the International Institute for Environment and Development.